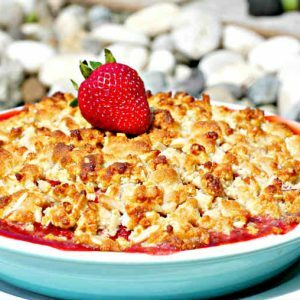 Apple pie is the ultimate home baked treat. 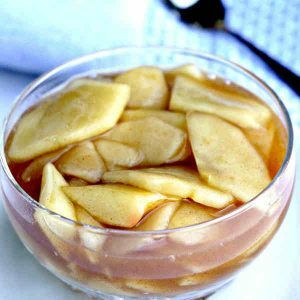 The smell of freshly baked apples with a hint of cinnamon cooling in the kitchen will bring back many wonderful memories from your childhood. 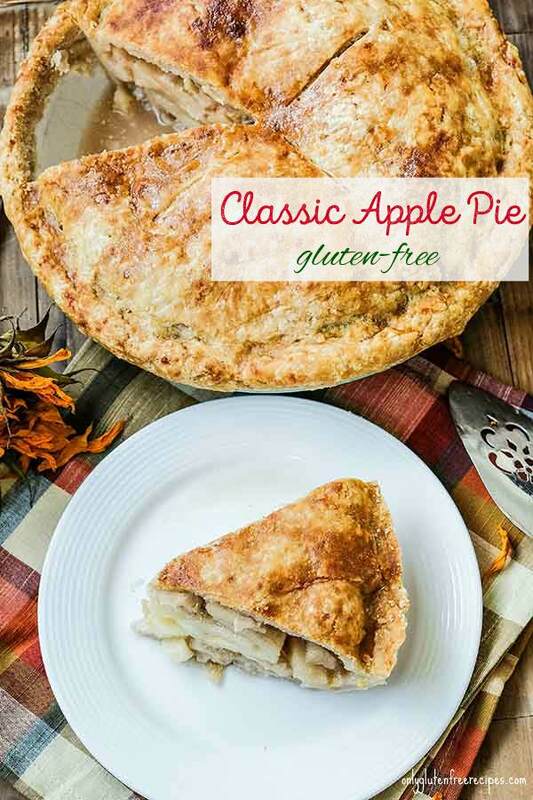 When it comes to gluten-free apple pie, the crust is important, it has to be tender and flaky. 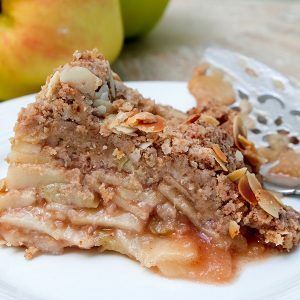 In this easy to make gluten-free apple pie recipe, you will be pleasantly surprised of how delicious this pie is. Choosing the right apples when making an apple pie is the key, they should have a crispy yet tender texture and they should be on the tarter side. To serve, add a dollop of ice cream and enjoy! Whisk egg and water in small bowl. Brush on the top crust. Sprinkle with sugar.